LOWEST PRICES IN FLORIDA.$49 A MONTH LEASE PAYMENTS AND UP TO $17,000 OFF MSRP. 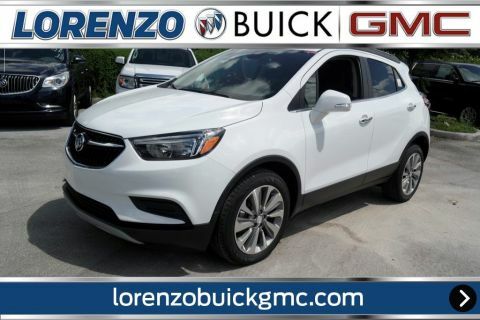 ONLY AT LORENZO BUICK GMC 8447 NW 12 ST DORAL. HURRY OFFERS END SOON. Delivers 31 Highway MPG and 26 City MPG! 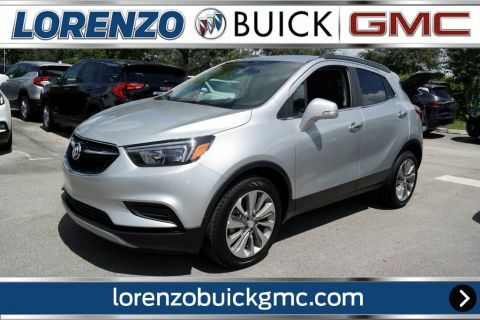 This Buick Encore boasts a Turbocharged I4 1.4/83 engine powering this Automatic transmission. TRANSMISSION, 6-SPEED AUTOMATIC, ELECTRONICALLY-CONTROLLED WITH OVERDRIVE includes Driver Shift Control (STD), SIDE BLIND ZONE ALERT, SEATS, FRONT BUCKET (STD). 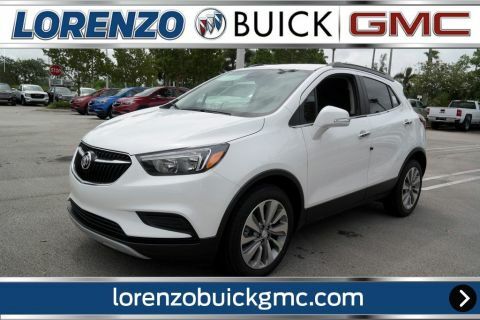 *This Buick Encore Features the Following Options *SAFETY PACKAGE includes (UFT) Side Blind Zone Alert, (UFG) Rear Cross Traffic Alert and (KI6) 120-volt power outlet , REAR CROSS TRAFFIC ALERT, QUICKSILVER METALLIC Includes (CM5) Black Carbon Metallic lower exterior accent color, Paint code W700S., PREFERRED EQUIPMENT GROUP Includes Standard Equipment, POWER OUTLET, 120-VOLT located on the rear of center console, ENGINE, ECOTEC TURBO 1.4L VARIABLE VALVE TIMING DOHC 4-CYLINDER SEQUENTIAL MFI (138 hp [102.9 kW] @ 4900 rpm, 148 lb-ft of torque [199.8 N-m] @ 1850 rpm) (STD), EBONY, CLOTH WITH LEATHERETTE SEAT TRIM, BLACK CARBON METALLIC LOWER EXTERIOR ACCENT COLOR, AUDIO SYSTEM, BUICK INFOTAINMENT SYSTEM, AM/FM STEREO, SIRIUSXM with 8 diagonal Color Touch Screen, includes 2 USB ports, Bluetooth streaming for audio and select phones and Phone Integration for Apple CarPlay and Android Auto capability for compatible phone (STD), Wipers, front intermittent with pulse washers. *Stop By Today *A short visit to Lorenzo Buick GMC located at 8447 NW 12th St, Miami, FL 33126 can get you a dependable Encore today!